To this day there has not been a cast of comic book characters quite like the residents of Will Eisner’s 55 Dropsie Avenue. 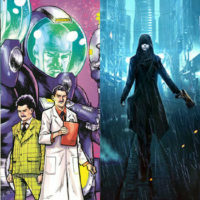 These desperate souls are a world apart from the usual artists, journalists, existential twenty-something and precocious kids who generally represent the “everyday man” in comics. Without prospects or even hope they cling to whatever small talents they might have in order to survive. These tales, based on Eisner’s own experiences being raised in a New York tenement, are nostalgic in only a regretful way. Eisner’s perspective on poverty, and those under it, is curiously unsympathetic. 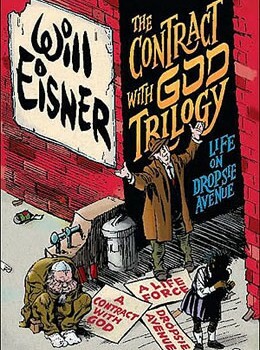 The title story of A Contract with God, and Other Tenement Stories is clearly Eisner’s most intimate, reflecting on his daughter’s death at the age of just 16, and follows a man’s struggle to come to terms with loss after honouring a metaphorical contract with God and living a life of virtue. While Contract was groundbreaking in its day, it now comes off as a little simplistic, and is by far the weakest of the stories told here. ‘The Super,’ the dismal end to disliked tenement captain Mr Scuggs is a far more effective vignette, with the despicable but sympathetic Scuggs a victim of a society that makes monsters out of those it fears. 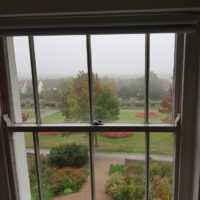 Frequently, the residents of 55 Dropsie Avenue are instrumental to their own ruin, as emphasised in ‘The Street Singer’, in which an alcoholic crooner is coached by a has-been diva. 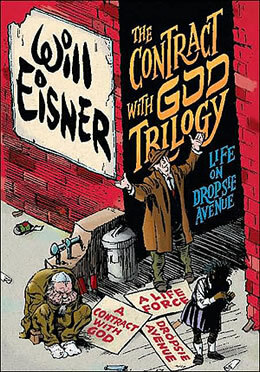 Five years later Eisner revisited the tenement once more with the superior A life Force, which repeated his polemic on survival with a running cockroach metaphor. Set during the Great Depression, with the holocaust entering its initial stage, the narrative is intersected with newspaper clippings that, for an uneducated scallywag like myself, proved equal parts engrossing and shocking, and lend the story an almost snap-shot authenticity. Dropsie Avenue took an altogether different approach, beginning in 1870 with the rural birth of Dropsie, and spanning a full century in the life of the street, its buildings and its residents. Hurtling along at a breakneck pace, Eisner somehow crams 100 years and countless generations into 170 pages. A dizzying experience that demands repeat reads, Dropsie Avenue is quite unlike any anything else that has ever been written in the comic medium. 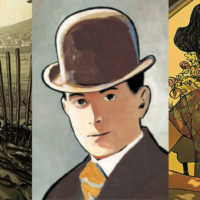 Originally released in three volumes from 1978-1995, The Contract with God Trilogy’s art is surprisingly consistent, though the second and third parts , A Life force and Dropsie Avenue, go for a far more conventional storytelling approach than A Contract with God, in which words are no longer superimposed atop the art in bubbles but an integral part of the imagery. 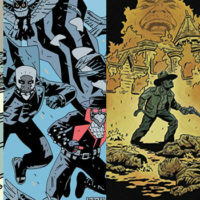 Sixty-one when he commenced work on this trilogy, Eisner’s experience gives his lines a flippancy which, as with many naturally great storyteller’s such as Dickens and Bradbury, makes his method appear deceptively easy. 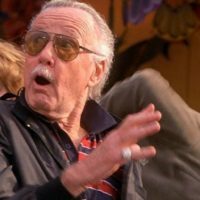 When A Contract With God was first released in 78, there was nothing else quite like it – indeed, it was the first book to use the term “graphic novel”. As beautifully illustrated as it is, there’s a certain naivety in Eisner’s storytelling that doesn’t quite earn its reverence today. The two follow ups, however, are still ahead of their time some 20 years later.